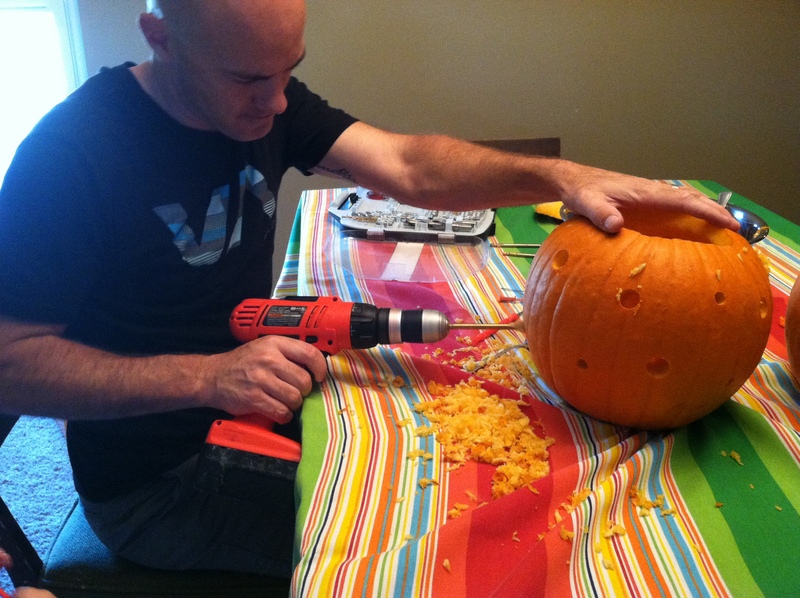 Forget the Knife, Use Power Tools to Carve Your Halloween Pumpkin! 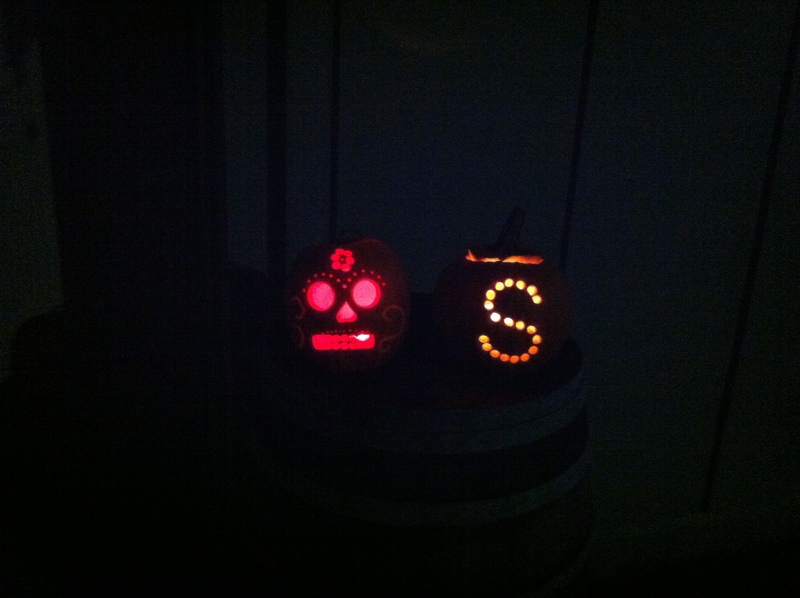 We’re not really into Halloween at our house. I don’t like to dress up, we don’t do the “matchy” couple costumes. Last year, we took the girls the pumpkin patch, but I don’t think we even carved the pumpkins. 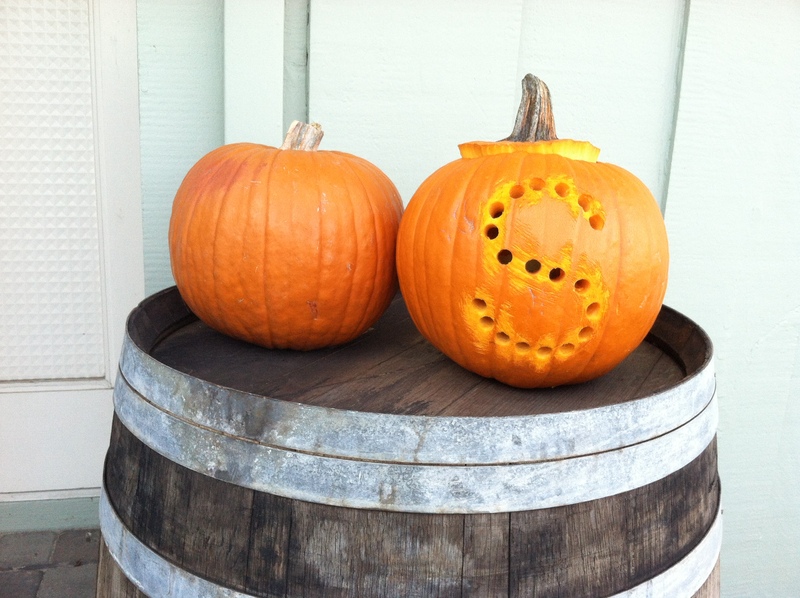 But of course, leave it to Pinterest or Martha Stewart to give us some inspiration to join the Halloween festivities. Level of difficulty: Easy (for a craft that uses power tools). 1. Cut the top off the pumpkin. 2. Scoop out the insides. 3. Select the drill bits and circle cutters you want to use. Here are a few photos we snapped along the way. Enjoy! My hubby loves this idea because it involves power tools. I love it because it looks easier and less messy and therefore quicker. 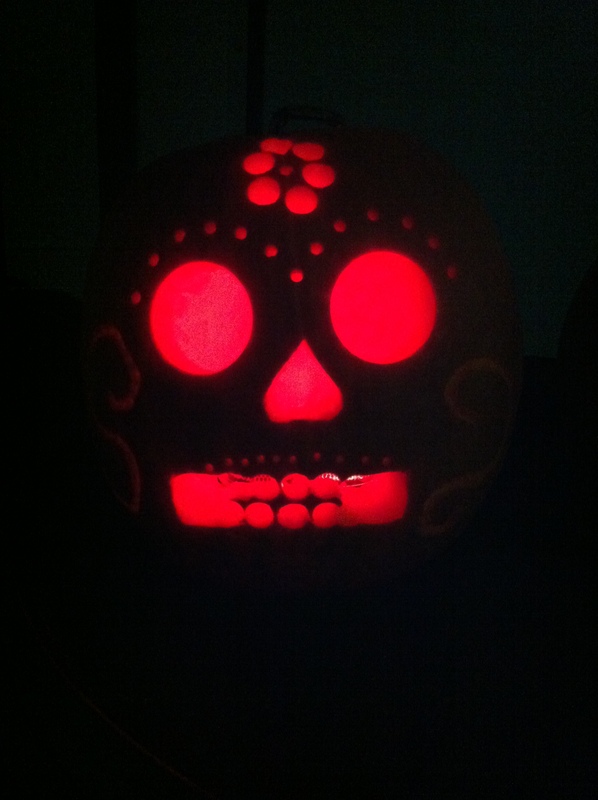 I can only imagine the kids squeeliinig over the excitement of power tools over the traditional carving methods – love it! The mess was quite easy to clean up. Pretty cool. What a great idea! 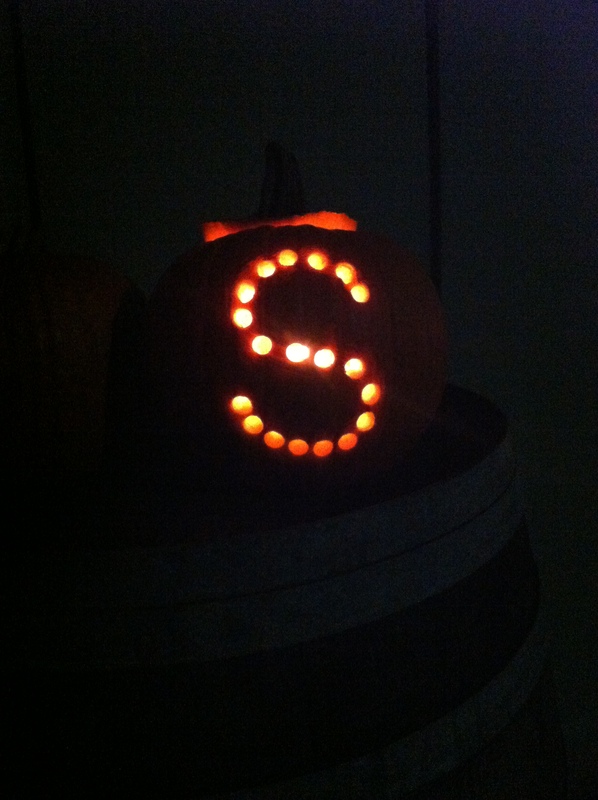 Like you, I’m not super hip on Halloween and all the work involved in making it great – but this, I could do. 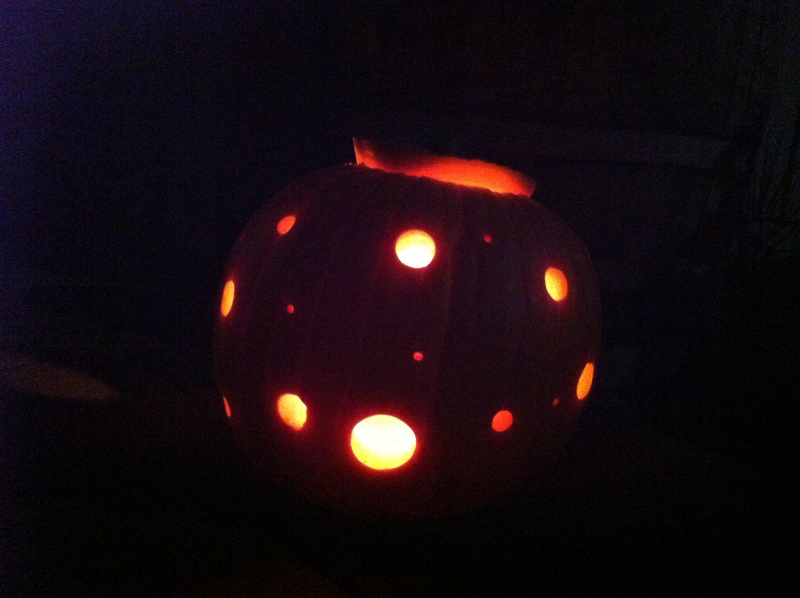 Thanks for sharing and Happy Halloween! « If you could talk to your younger self, what would you say?